Here's the affordable family home you've been looking for. 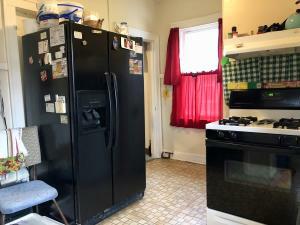 Large rooms with space for everyone, hardwood floors, and main floor laundry. Come take a look at this 3 bedroom, 2 bathroom home, conveniently located near downtown! All appliances, including stackable washer/dryer, will stay with the house.Sellers will consider a contract offer. 905 Lawler Street (MLS # 18-1731) is a property located in Emmetsburg, IA. MLS# 18-1731 is a Residential Other which has 3 bedrooms, 2 bathrooms, is 1360 sqft and listed with a price $49,900 on Bojihomes.com. 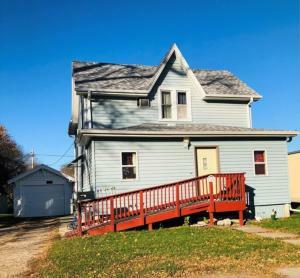 905 Lawler Street is situated in the area of the Iowa Great Lakes located in Northwest IA. Find detailed information about 905 Lawler Street , Emmetsburg, IA 50536 including interior & exterior features, photos, as well as community and market stats for Emmetsburg, IA. Contact Aaron Jones at 712.320.9442 to receive personalized Emmetsburg, IA real estate service. He will provide you information and key facts based on years of knowledge and experience, about 905 Lawler Street , Emmetsburg, IA 50536. Aaron Jones will also provide you with a comparative market analysis (CMA) for similar homes for Sale in Emmetsburg, IA.